Anemonefish, or clownfish, were made famous by the 2003 Disney-Pixar film Finding Nemo, and are about to play a starring role in the sequel, Finding Dory. They are well known for their special relationship with anemones, which provide a safe place to call home. But anemonefish face a number of threats. Some researchers have warned of an increase in the wild-caught anemonefish trade, as happened following Finding Nemo. 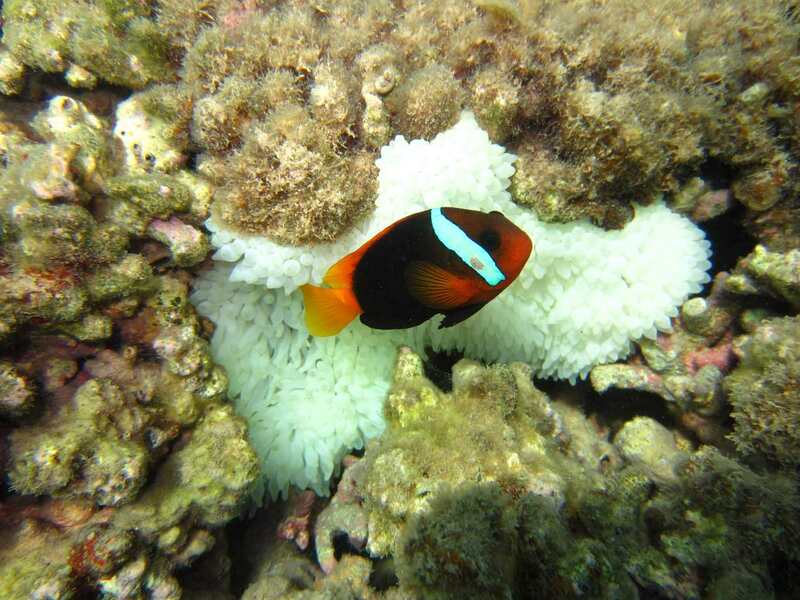 Anemones, on which anemonefish depend, are threatened by warming seas in a similar way to corals. 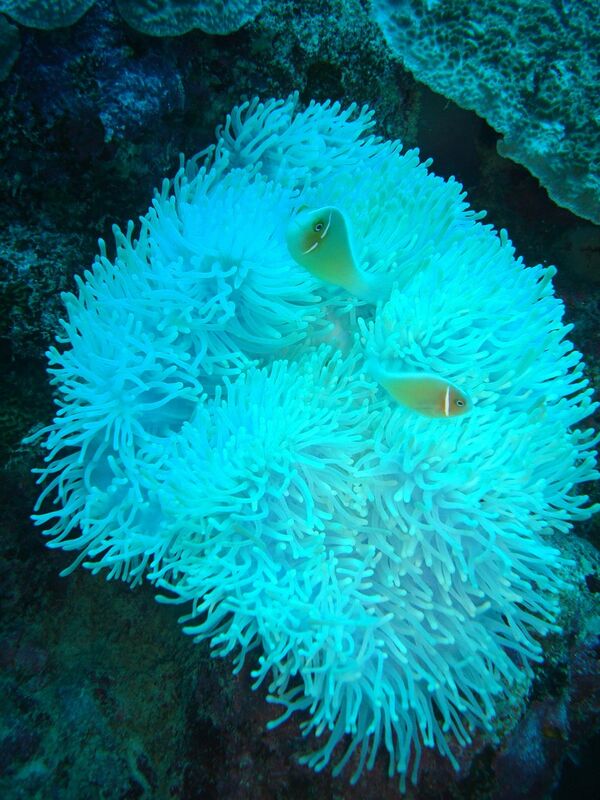 In fact anemones were affected by the recent coral bleaching on the Great Barrier Reef, which recent updates show has left a third of coral colonies dead or dying in the north and central parts of the reef. A healthy (left) and bleached (right) bubble-tip anemone (Entacmaea quadricolor) on the Great Barrier Reef. There are 28 species of anemonefish. Although some people call this group “clownfish”, technically this name is only used for one species, Amphiprion percula. “Nemo” (A. ocellaris) looks similar, but is actually known as the “false clownfish”. Anemonefish are famous for their special relationship with anemones. Although they can survive in aquariums without anemones, in nature they rely on anemones for protection from predators. The pink anemonefish (Amphiprion perideraion) in a bleached anemone (Heteractis magnifica) at Christmas Island. 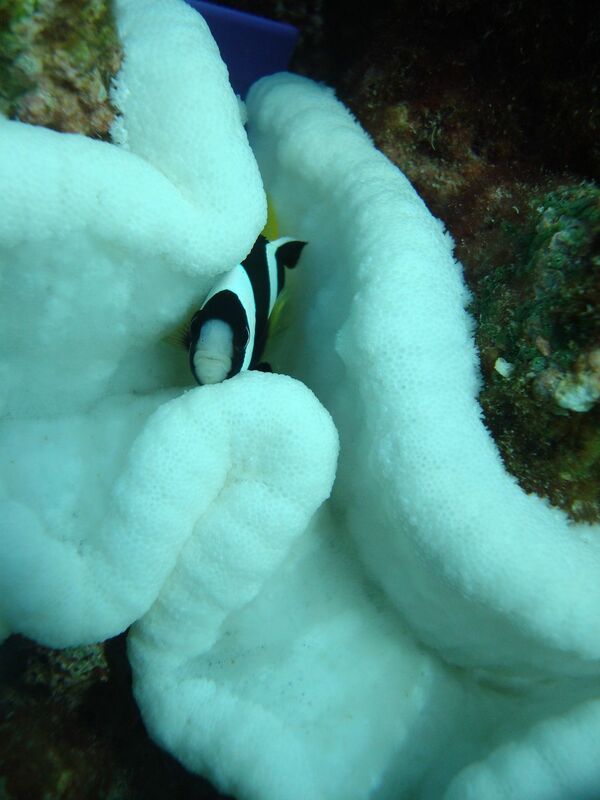 In return for providing a safe home, the resident anemonefish will provide nutrients and defend the anemone from predators such as butterflyfish. Both the number and size of anemonefish is linked to the size and number of anemones – and vice versa. Therefore, any decrease in one partner affects the other. The collection of anemones and anemonefish for the aquarium trade has to be managed properly to ensure the future of anemonefishes. Anemonefish can be easily bred in captivity and this provides a reliable source for aquarium enthusiasts without impacting wild populations. Cinnamon anemonefish (Amphiprion melanopus) in a bleached anemone (Entacmaea quadricolor) on the Great Barrier Reef. Ten species of anemones are inhabited by anemonefish. The highest diversity of anemonefish occurs in Indonesia, where anemonefish species outnumber anemones. 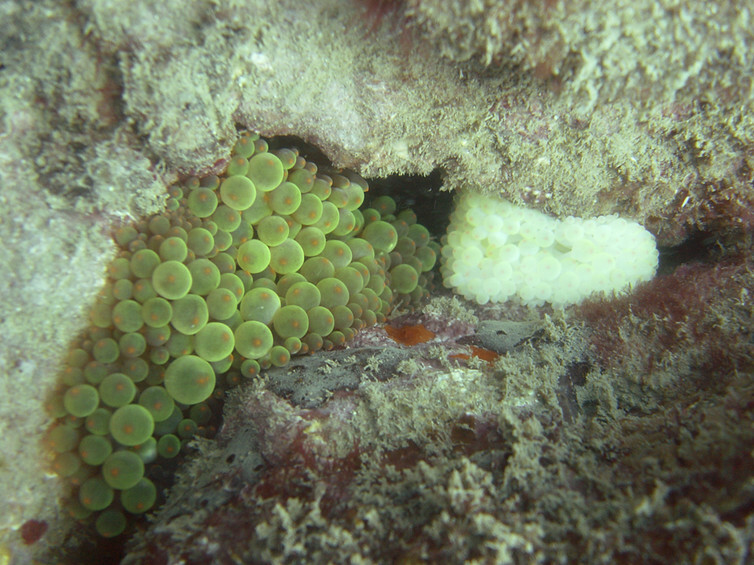 As a result, different species of anemonefish have learnt to share the same anemone. In most other locations, anemonefish aggressively prevent other species from entering their anemone. Anemonefish species differ in the number of anemone species they associate with. Clark’s anemonefish (Amphiprion clarkii) in a bleached anemone (Cryptodendrum adhaesivum) at Christmas Island. Clark’s anemonefish (A. clarkii) can live in all ten anemone species and is widely distributed throughout the Indian and Pacific Oceans. In contrast, McCulloch’s anemonefish (A. mccullochi) inhabits only one species of anemone and occurs only on reefs around Lord Howe Island. After hatching, anemonefish larvae use their keen sense of smell to find their preferred anemone species and avoid unhealthy (bleached) anemones. Anemones are closely related to corals and get their colour from microscopic algae (zooxanthellae) that live symbiotically within the tissue of the anemone. Like corals, anemones expel their algae and turn white when they become stressed. This process – termed “bleaching” – is usually in response to periods of elevated seawater temperatures. 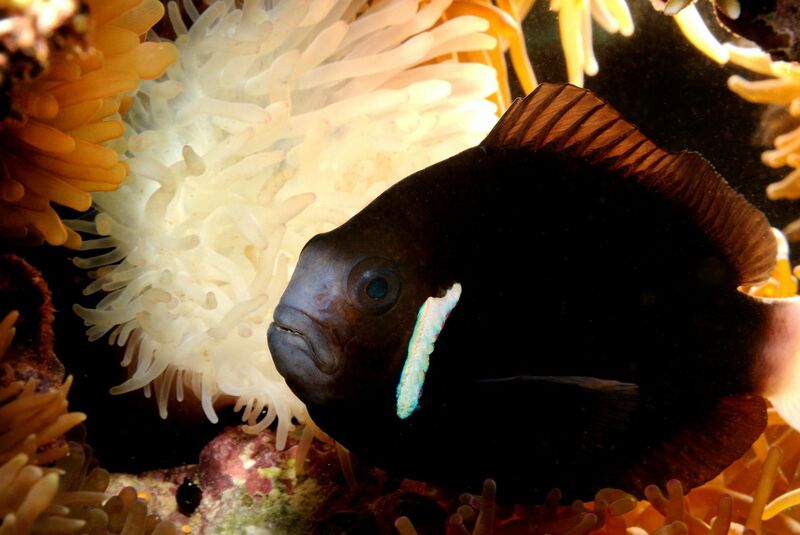 All ten species of anemones are susceptible to bleaching, which can result in a decrease in the size and number of anemonefishes and reduced reproduction. McCulloch’s anemonefish (Amphiprion mccullochi) in a bleached anemone (Entacmaea quadricolor) at Lord Howe Island. If seawater temperatures remain high for too long, then bleached anemones will die. In 1998, a prolonged period of elevated water temperatures in Japan resulted in mass mortality of bleached anemones and local extinction of anemonefish. In March 2016, the Great Barrier Reef experienced a severe bleaching event due to elevated water temperatures associated with a strong El Niño event. There was mass bleaching of both corals and anemones. 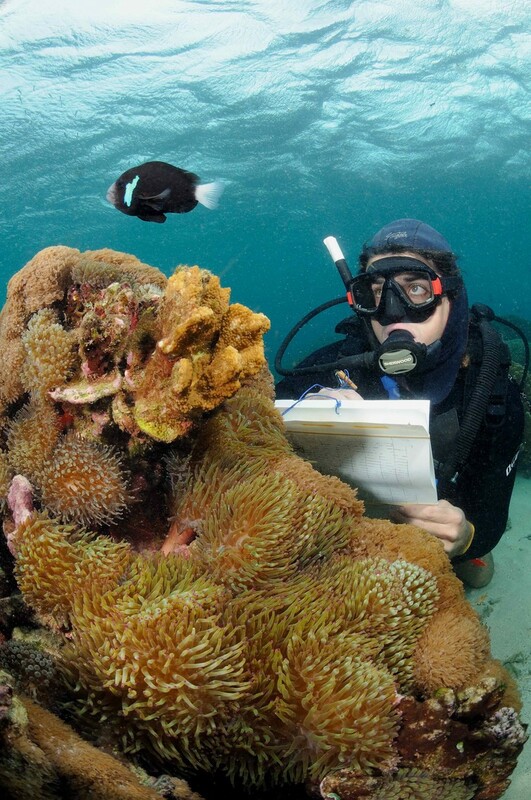 Marine biologist Jean-Paul Hobbs studying anemonefish (Amphiprion mccullochi) and their host anemones (Entacmaea quadricolor) at Lord Howe Island. The future of the bleached anemones and their resident anemonefish will depend on how quickly the water temperature returns to normal. If the temperature decreases swiftly, bleached anemones can regain their colour (reabsorb zooxanthellae) and survive. However, the frequency and intensity of bleaching events are predicted to increase as the climate changes. Consequently, there are serious concerns about the ability of anemones and anemonefish to cope with rising water temperatures.